England vs Lithuania predictions for Sunday’s World Cup qualifier at Wembley. 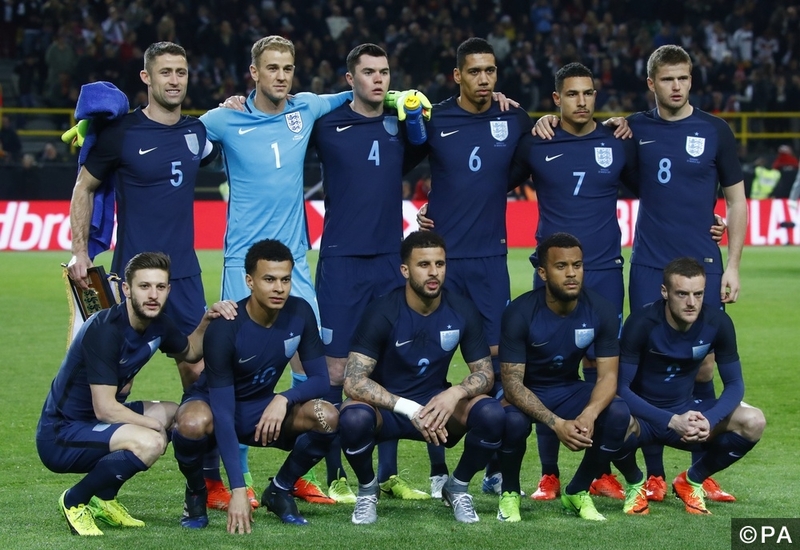 England hope to extend their lead at the top of their World Cup qualifying group. Read on for all our free predictions and betting tips. England’s five match unbeaten streak came to an end on Wednesday as they were defeated 1-0 in Germany, with the retiring Lukas Podolski bagging the only goal of the game with a trademark thunderbolt. To be fair, England played rather well considering they were away to the World Cup holders, but Germany didn’t seem too interested in playing with a high intensity and England still couldn’t find the win. Prior to this England had drawn against Spain in a friendly in November, with their World Cup qualifying results seeing them win three and draw one of their four matches, to put them top of their group with a two point lead over 2nd placed Slovenia. Arch rivals Scotland sit all the way down in 5th position with just four points from their four games. Lithuania are a point above Scotland in 4th position, but their friendly in midweek resulted in a comprehensive 3-0 defeat at the hands of Czech Republic. This makes it three defeats, three draws, and just one win in their last seven outings. Their single win came at home against group minnows Malta as well, whilst they managed a rather surprising 1-1 draw in Scotland and held Slovenia to a draw at home as well. Away from home they are winless in 14 matches and have lost ten of them. They have also failed to score in 11 of them. Meanwhile, England have won 12 of their last 14 home matches and have managed to keep a clean sheet in nine of them, so the chances of Lithuania being able to find the net on Sunday look rather slim. Lithuania lost their last trip to England 4-0, and their last two away days have seen them lose by at least three goals. England beat Scotland 3-0 not too long ago as well and looked decent in midweek, so backing England -2.0, -2.5 Asian Handicap at 1.860 looks a good value bet. I’m going for that along with a 3-0 correct score predictions at 9/2. England have won both of their previous meetings with Lithuania, scoring seven goals and conceding none. Gary Cahill will captain England in the absence of Wayne Rooney, with either Jermain Defoe, Jamie Vardy, or Marcus Rashford leading the line with Harry Kane out injured. The likes of Nathan Redmond, James Ward-Prowse, and Michael Keane will be hoping to play again after making their debuts against Germany. Striker Fiodor Cernych will captain Lithuania, with his eight goals in 31 appearances making him the top scorer in the squad too. Defender Tadas Kijanskas is the most experienced player available to them, but every player in the squad has been capped at least once. Lithuania have lost both of their previous meetings with England by at least three goals and have lost 43% of their last 14 away games by three or more goals.